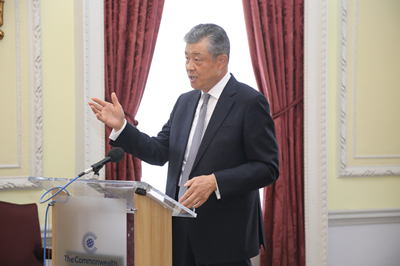 Ambassador Liu emphasized that Freedom of navigation is not a license to do whatever one wishes. Freedom of navigation is not freedom to invade in other country's territorial waters and infringe upon other country's sovereignty. Such "freedom" must be stopped. Otherwise the South China Sea will never be tranquil. No one should underestimate China's will to safeguard its national sovereignty, security and development interests. No one should underestimate China's determination to uphold peace and stability in the South China Sea.